Place 12 kraft wave baking cups and 12 royal blue baking cups into muffin tins. Use an ice cream scoop to fill each cup 2/3 full with chocolate cake batter. Bake 350� F for 13-15 minute, or until a toothpick inserted comes out clean. Carefully remove baked cupcakes from tins and place on a cooling rack to cool. 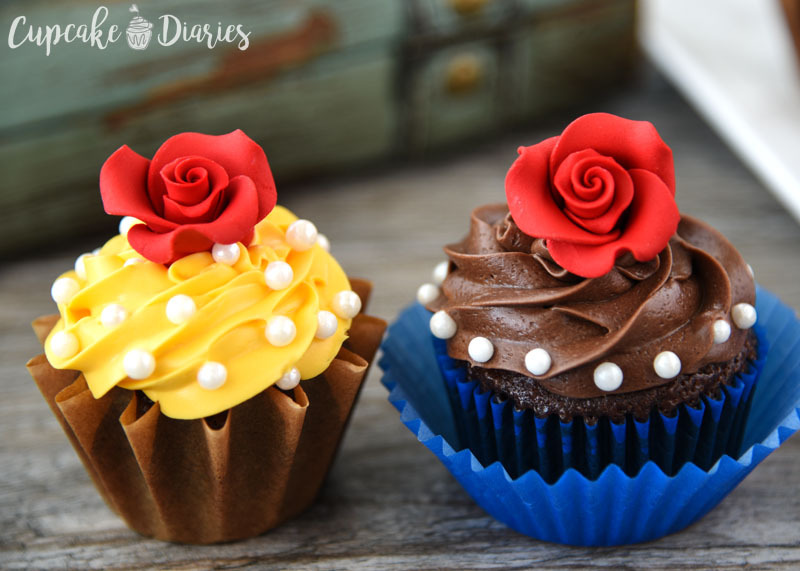 Visit Beauty and the Beast Cupcakes @ cupcakediariesblog.com for full instructions.